Browse our list of our Wears Valley Cabin Rentals. We offer several cabins in the heart of Wears Valley. All of our cabins and chalets have full Kitchens and hot tubs. 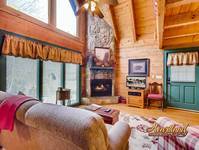 Make Heartland Cabin Rentals your home away from home. 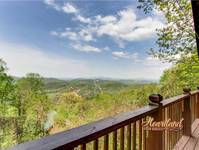 Wears Valley Cabin Rentals are popular and affordable cabins for visitors coming to the Great Smoky Mountains and wanting to see the peaceful side of the Great Smoky Mountains. Wears Valley is known for being the "Quiet side of the Smokies." Pigeon Forge is less than 10 miles away. But you will enjoy the local eateries and shops in the Valley. Wears Valley Cabin Rentals are perfect for visitors that are looking for a relaxing, comfortable, and secluded Mountain Cabin Vacation. Make a Wears Valley Cabin Rental your home away from home. Our Wears Valley Cabin Rentals also offer beautiful rustic locations in this scenic Wears Valley Community. Wears Valley allows guest to enjoy the beautiful Great Smoky Mountain while relaxing with a fresh cup of coffee on their cabin's porch. Our cabins in Wears Valley offers convenience to Pigeon Forge, and Gatlinburg attractions. They are also just minutes away from the Great Smoky Mountains and they are only a short drive to Cades Cove!